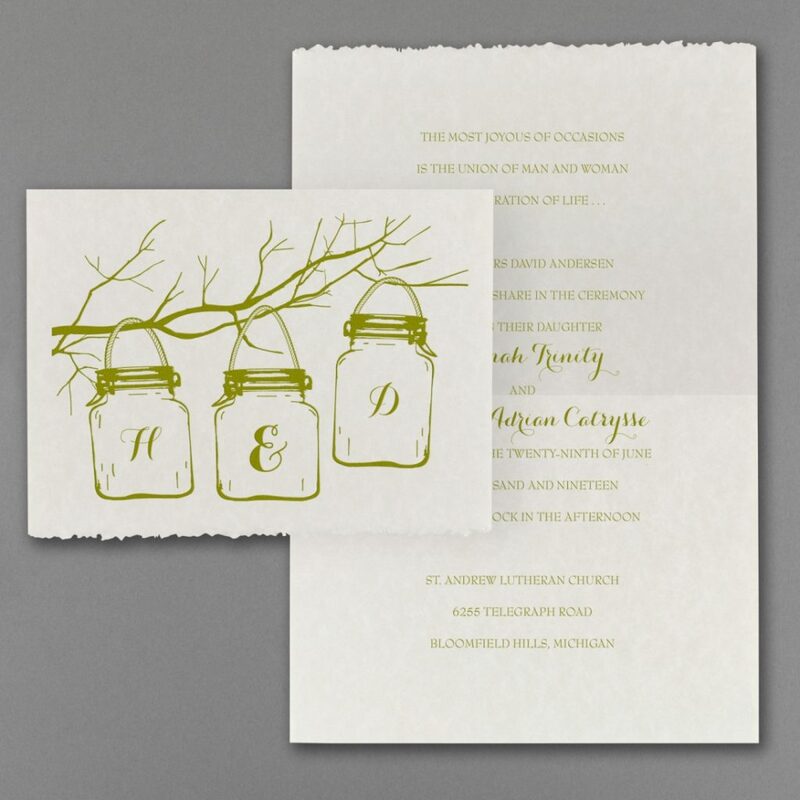 One style of invitation that Persnickety brides continue to fall in love with is a cut above the rest… or an “uncut” to be exact, and that’s with deckled edging. 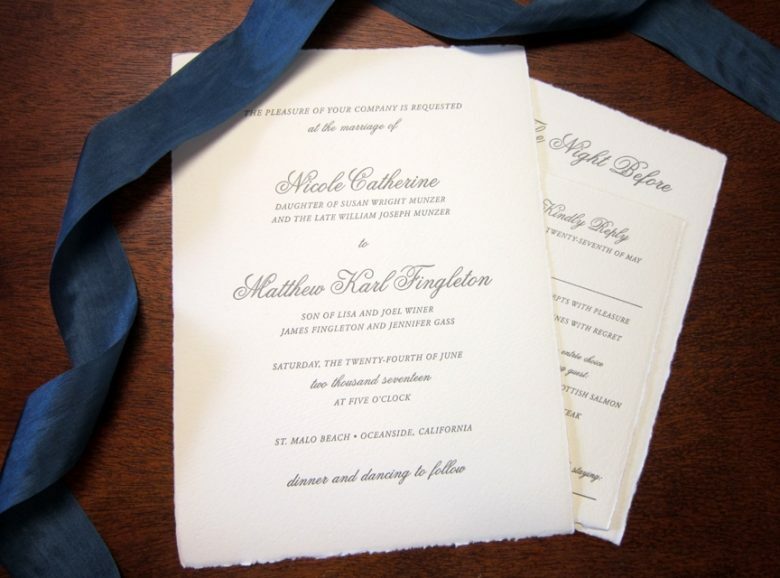 Deckled edging is a classic papermaking technique that is seen on the edges of books, paper, and stationery. 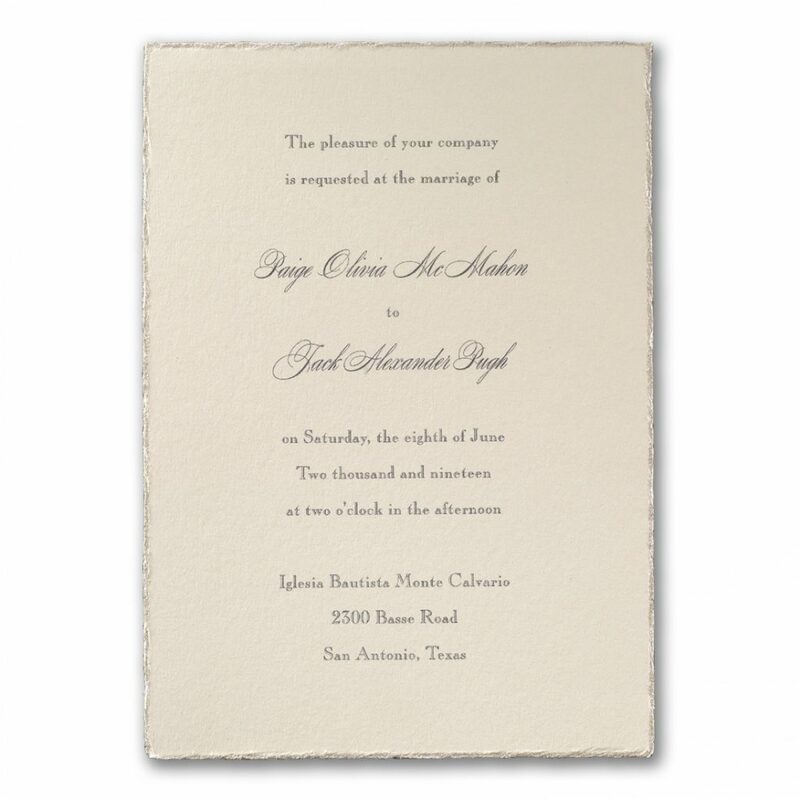 It is the rough, uncut edges that border the invitation, resulting in a soft, feather-like edge, often looking like the paper has not been cut at the edges. 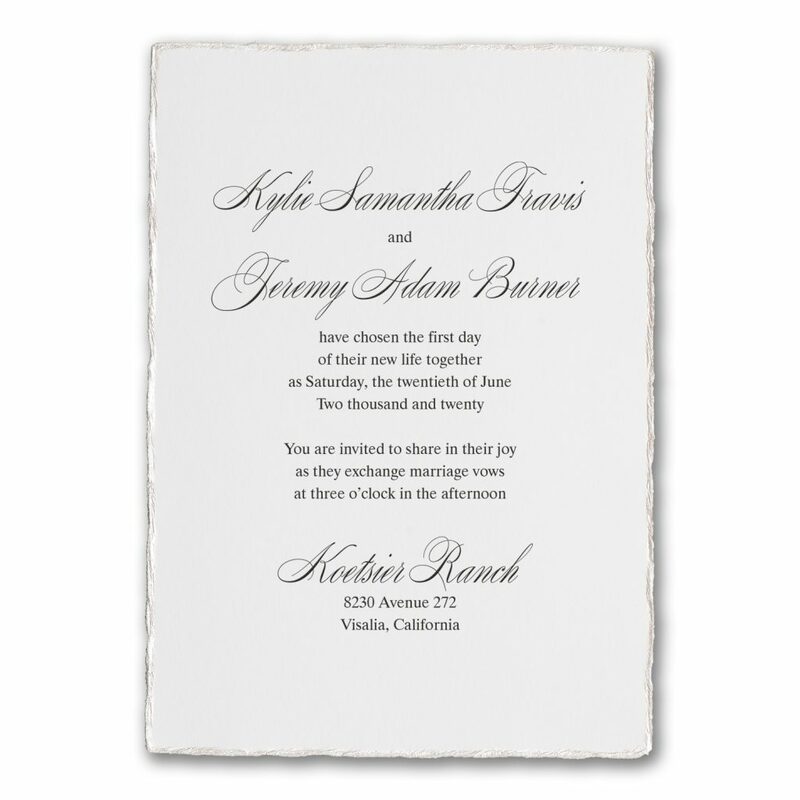 When you hold the pages together, it almost looks as if they’re uneven. 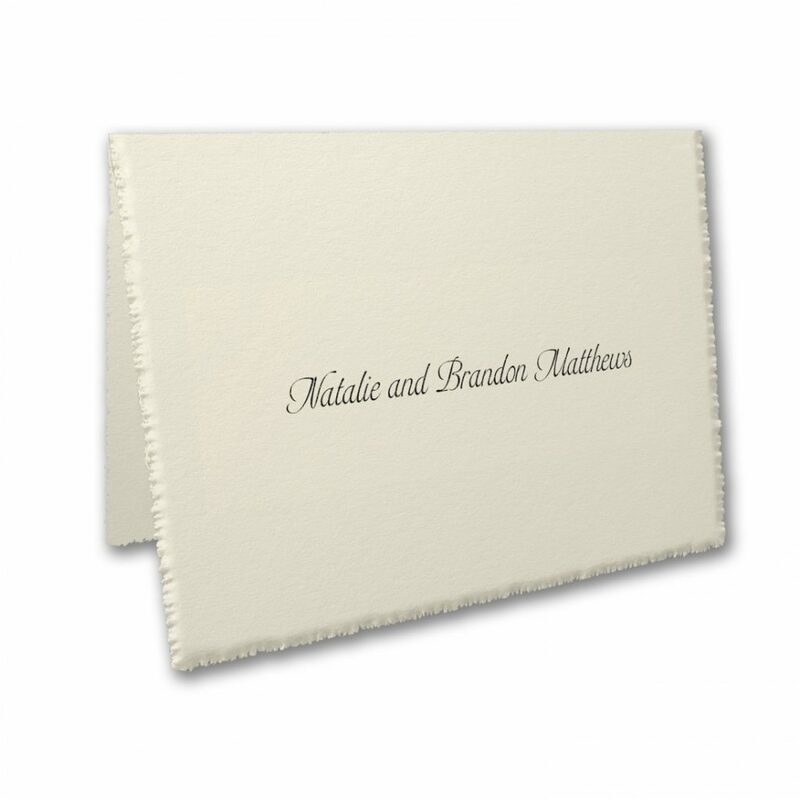 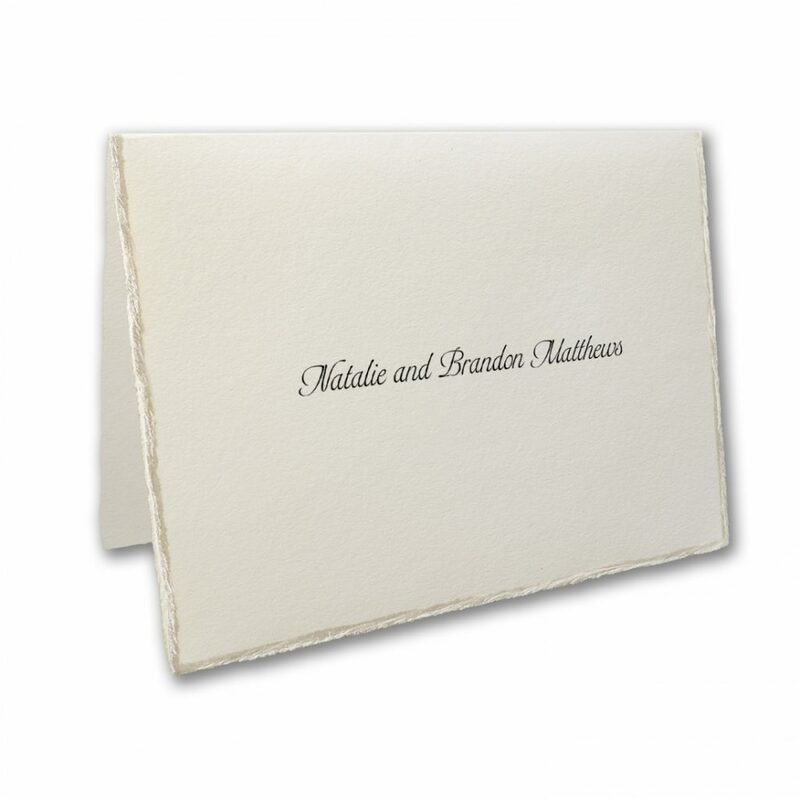 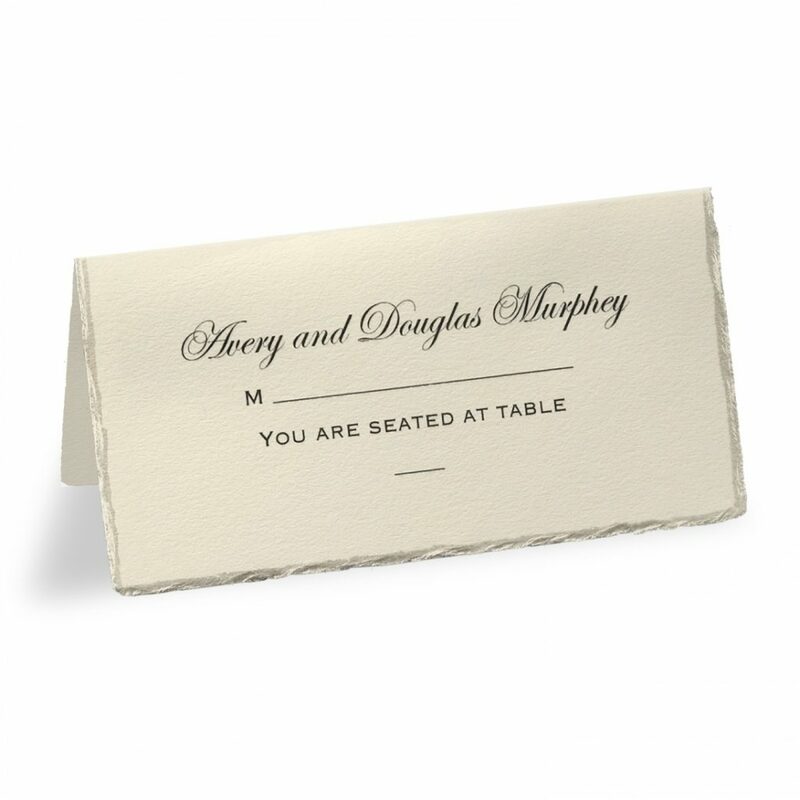 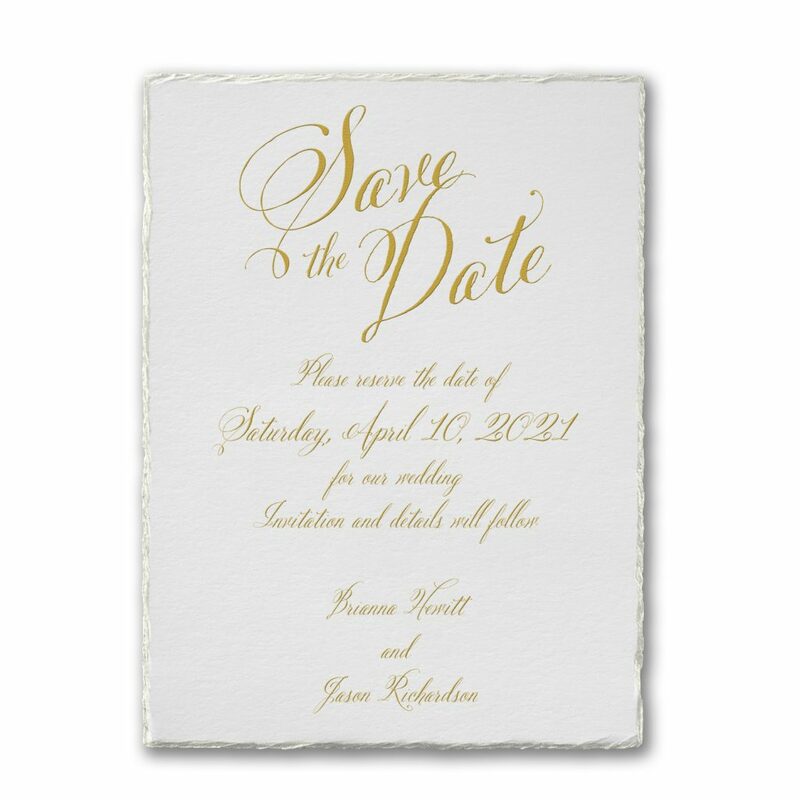 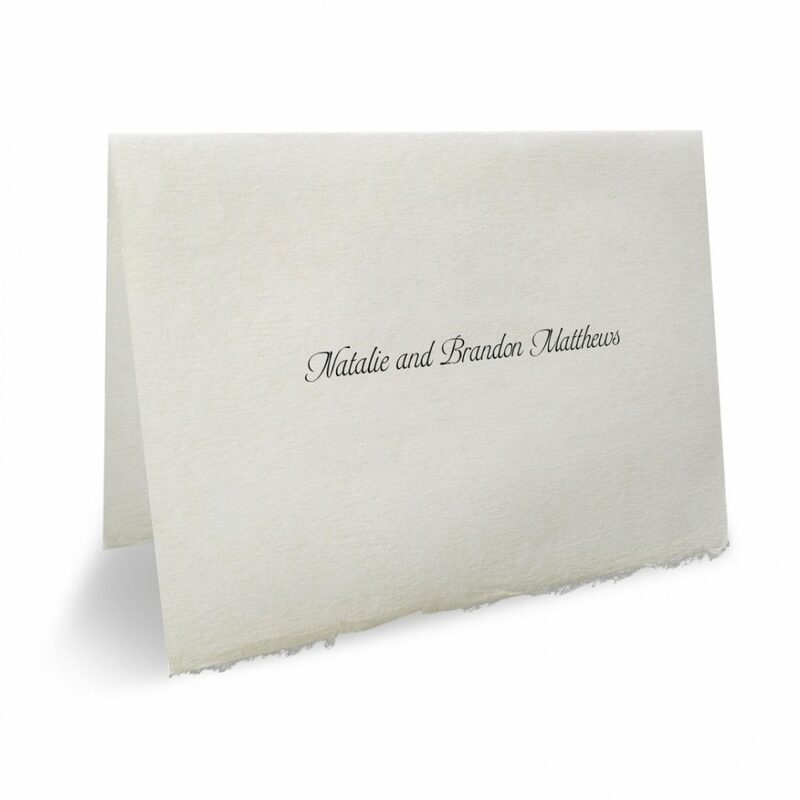 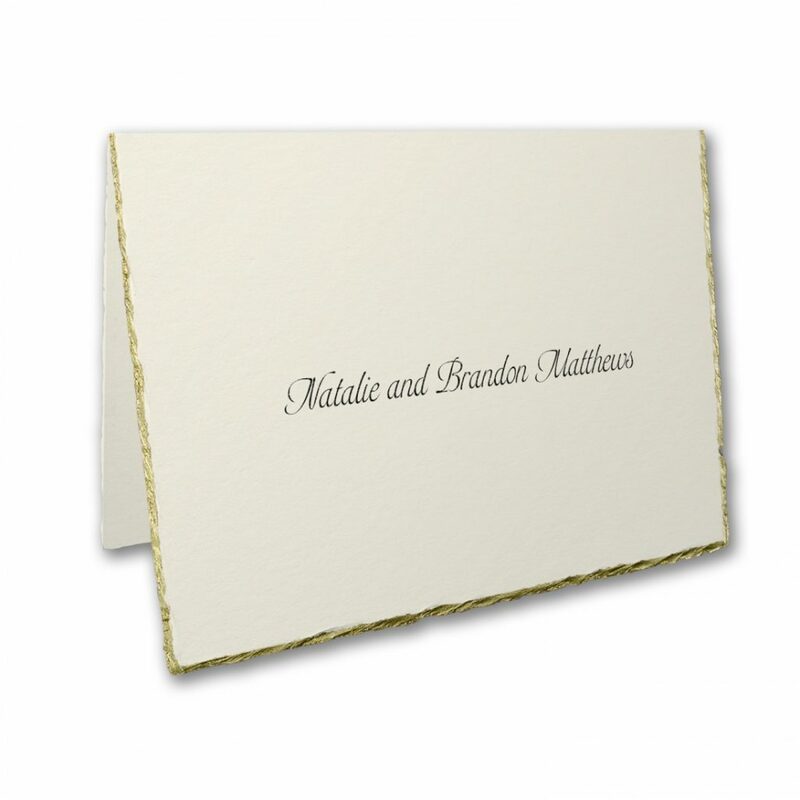 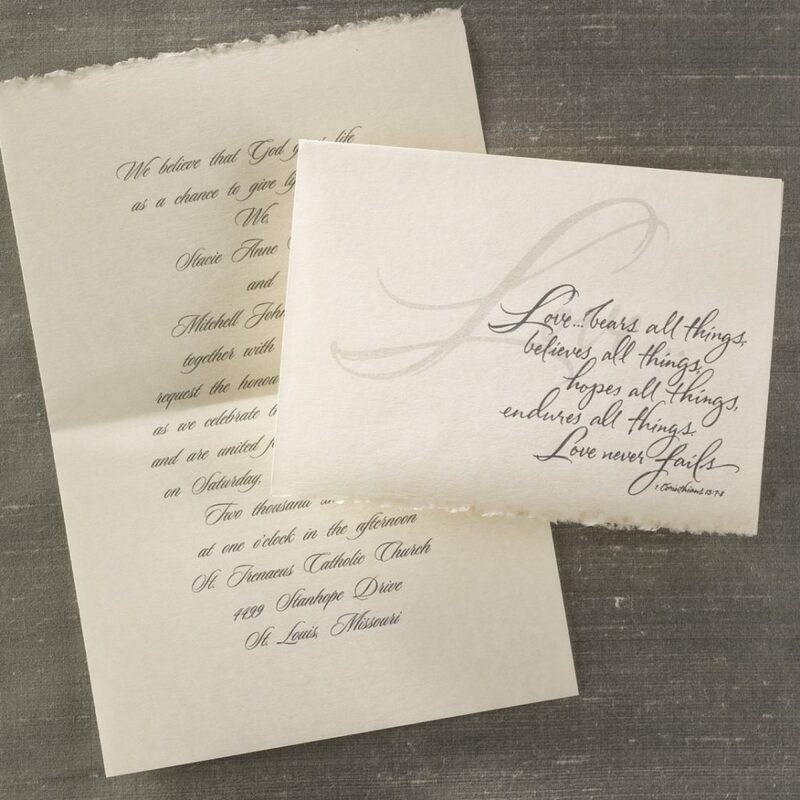 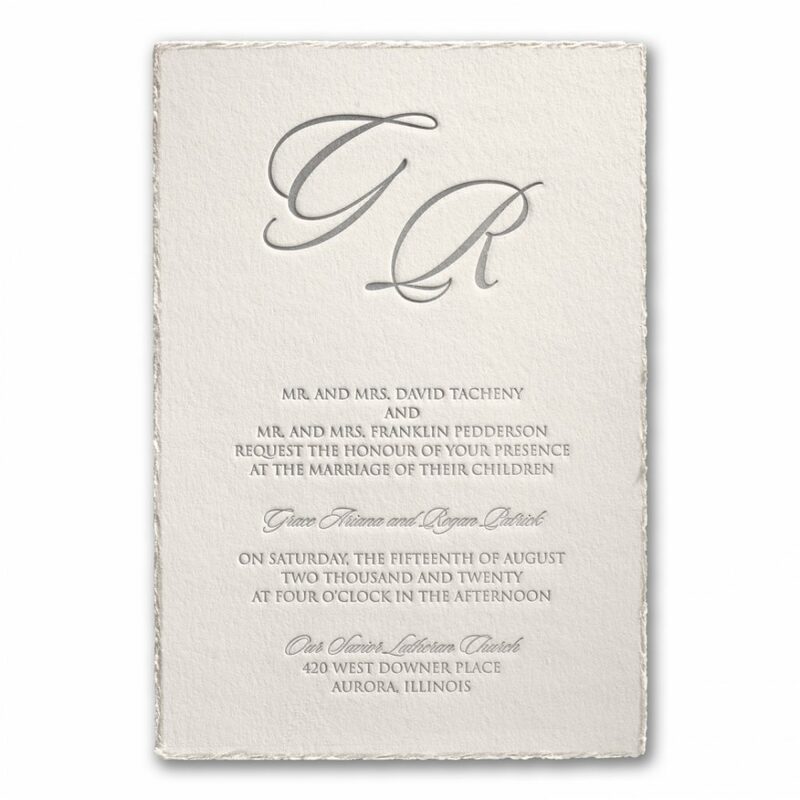 For wedding stationery, this is a beautiful addition to your suite. 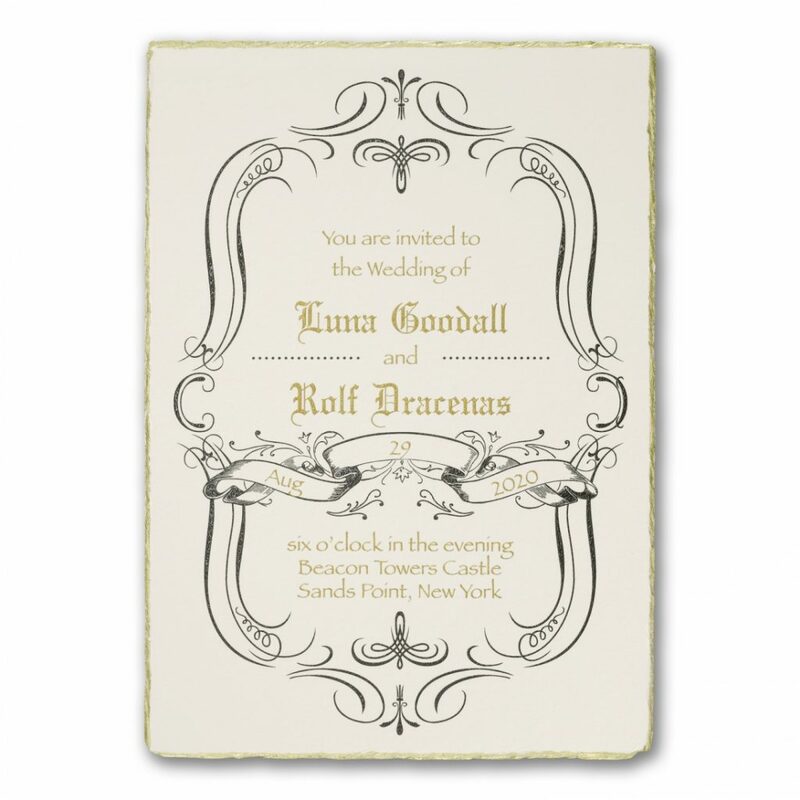 Deckled edging used to be unavoidable before the 19th century. 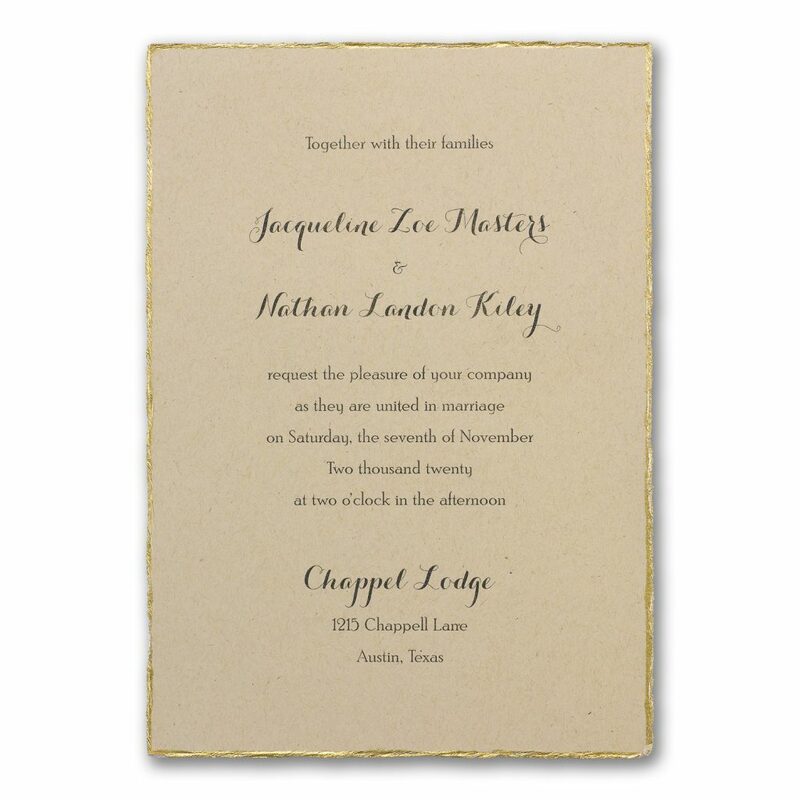 The deckle was a piece of equipment used in papermaking; a wooden frame around the mold used when making paper by hand. 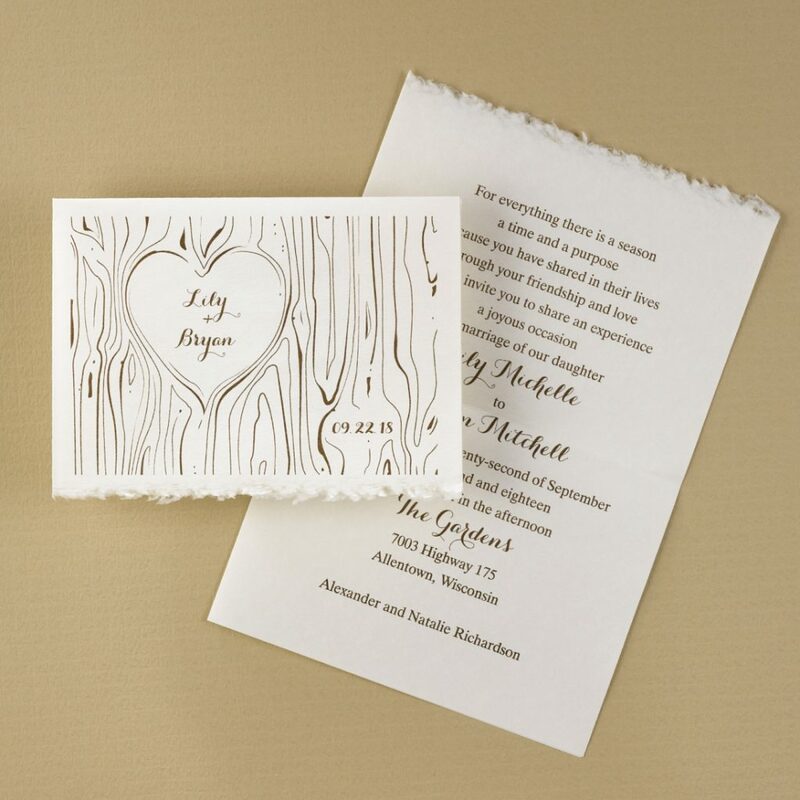 Each page was made individually on the deckle, resulting in the uneven edges and was later cut by hand. 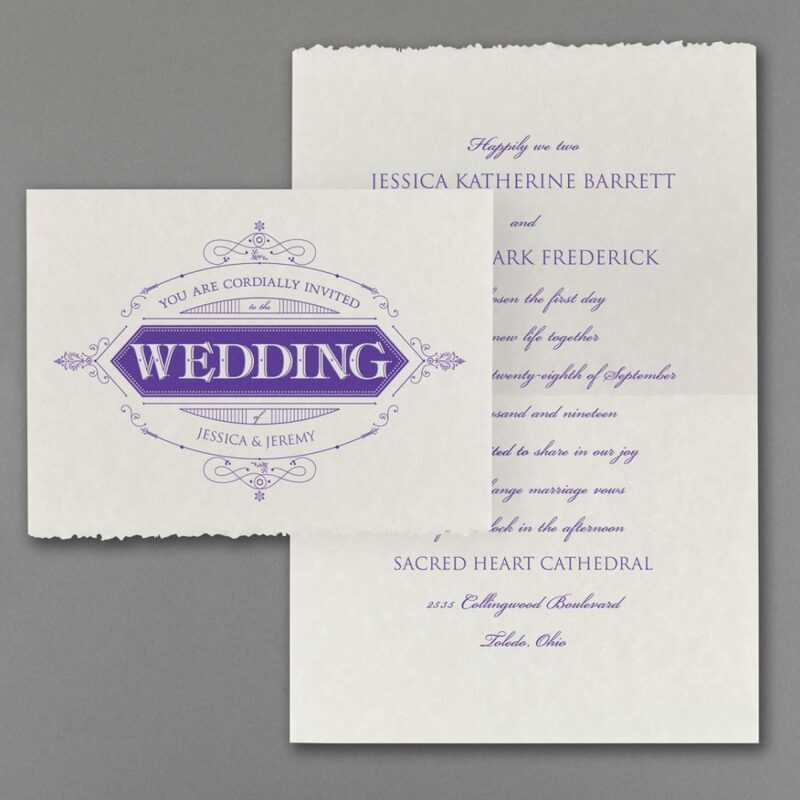 With the advancement in technology and the precision of papercutting, deckled edging no longer was a necessity and has become an aesthetic choice among graphic designers. 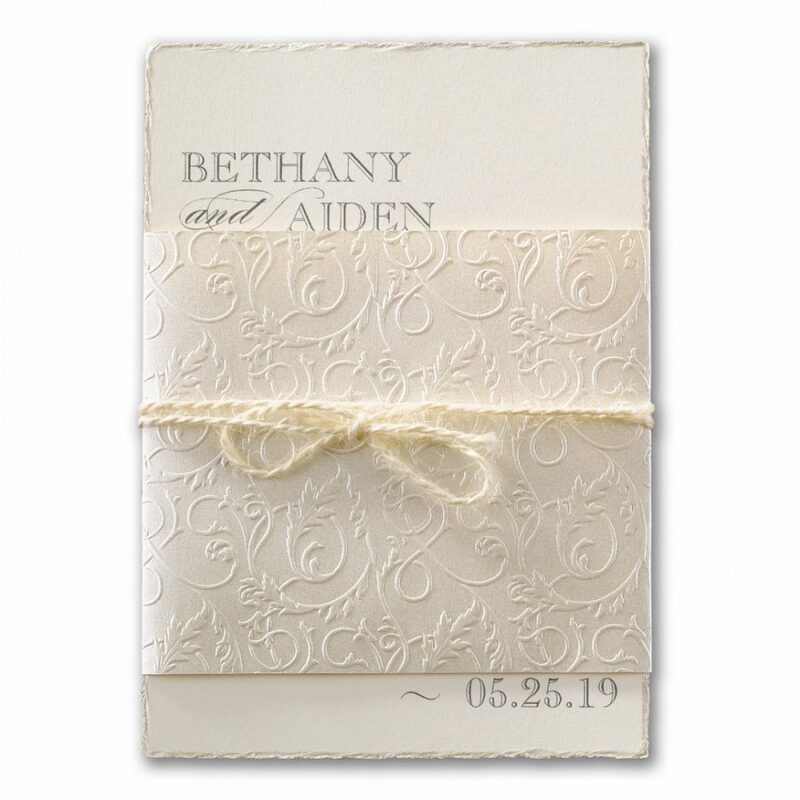 We love using deckled edges in wedding stationery because they easily help to create a soft, elegant, and timeless look. 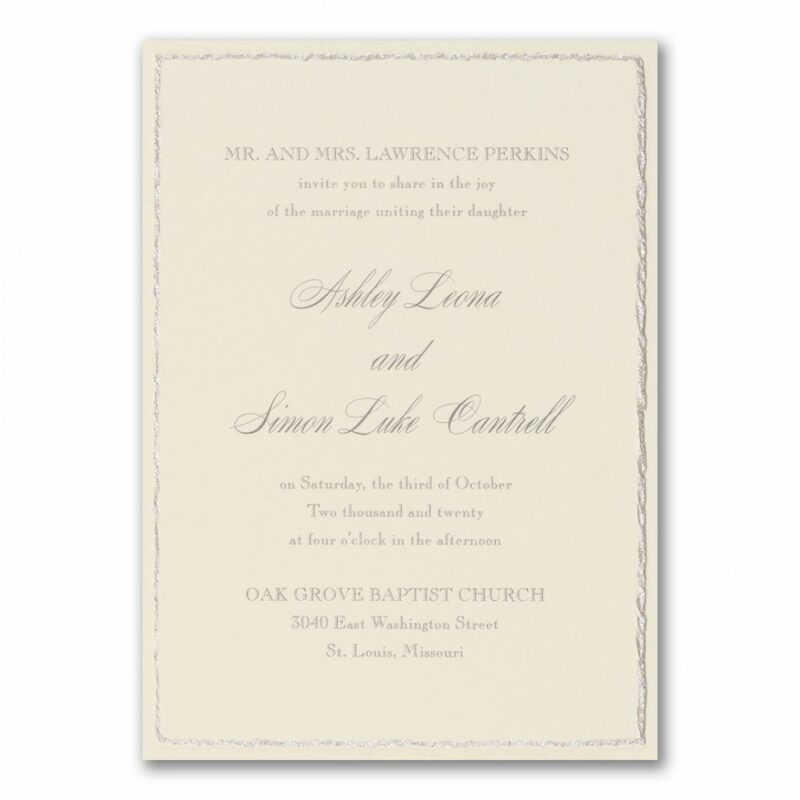 They are perfect for a traditional style but can also incorporate more modern elements. 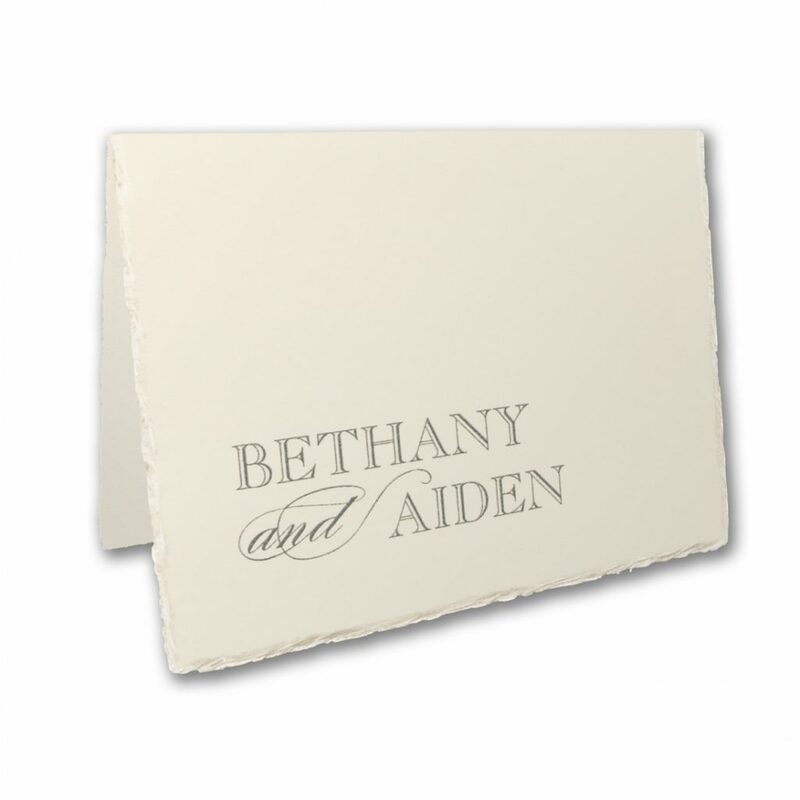 It also doesn’t hurt that they just look so pretty! 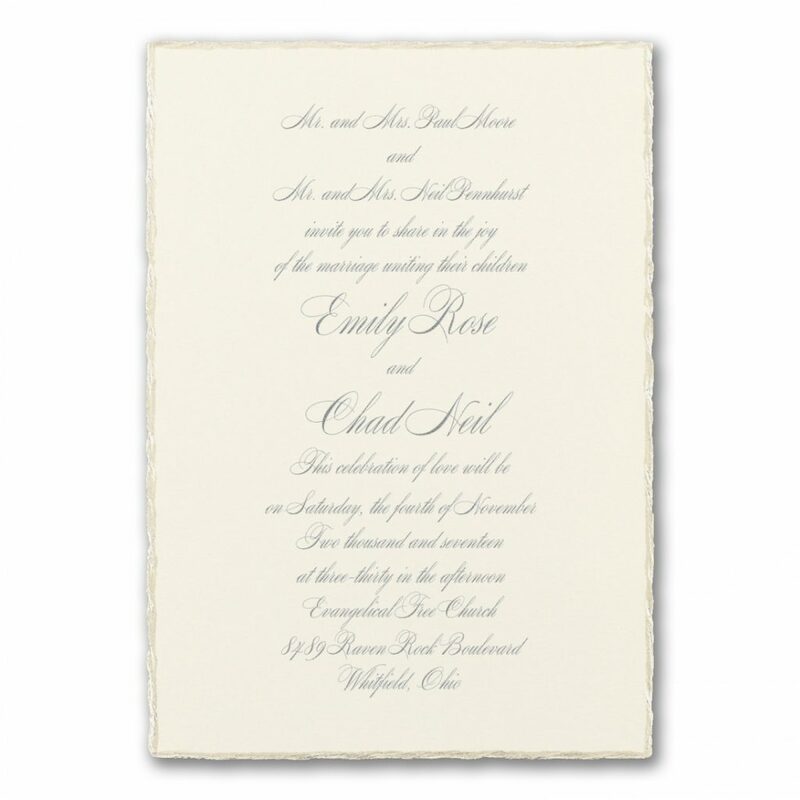 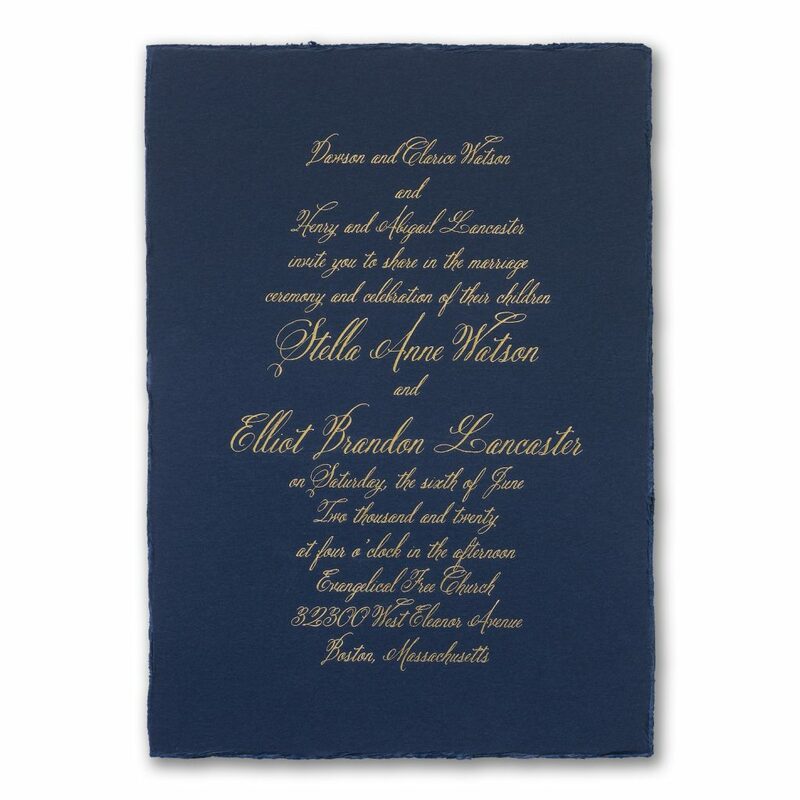 We’ve included just a few of our favorite deckled edge wedding invitations from our Carlson Craft collection. 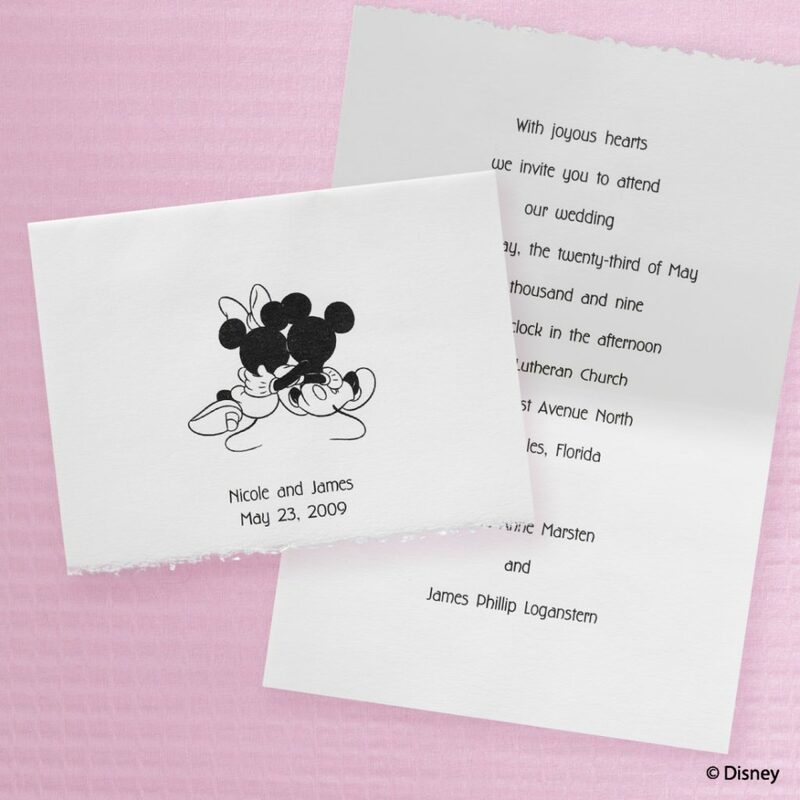 Nearly all the designs have a matching thank you note, something you’ll definitely want to think ahead about! 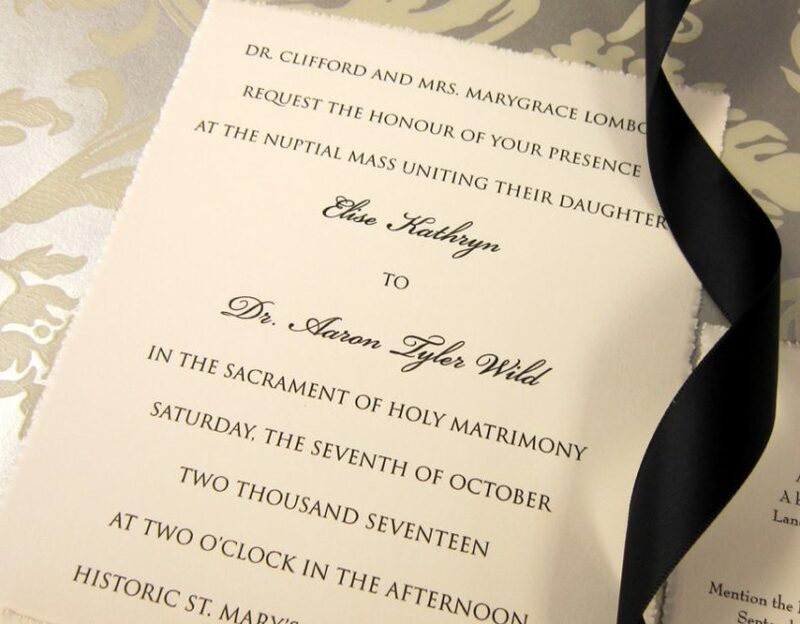 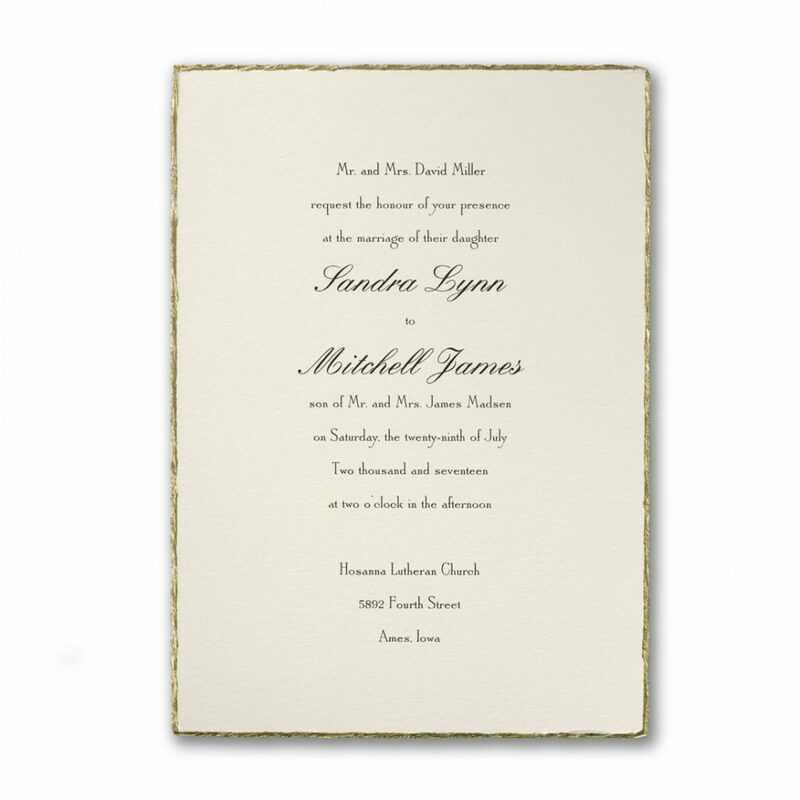 See an invitation that you adore or are interested in a custom deckled edge invitation set? 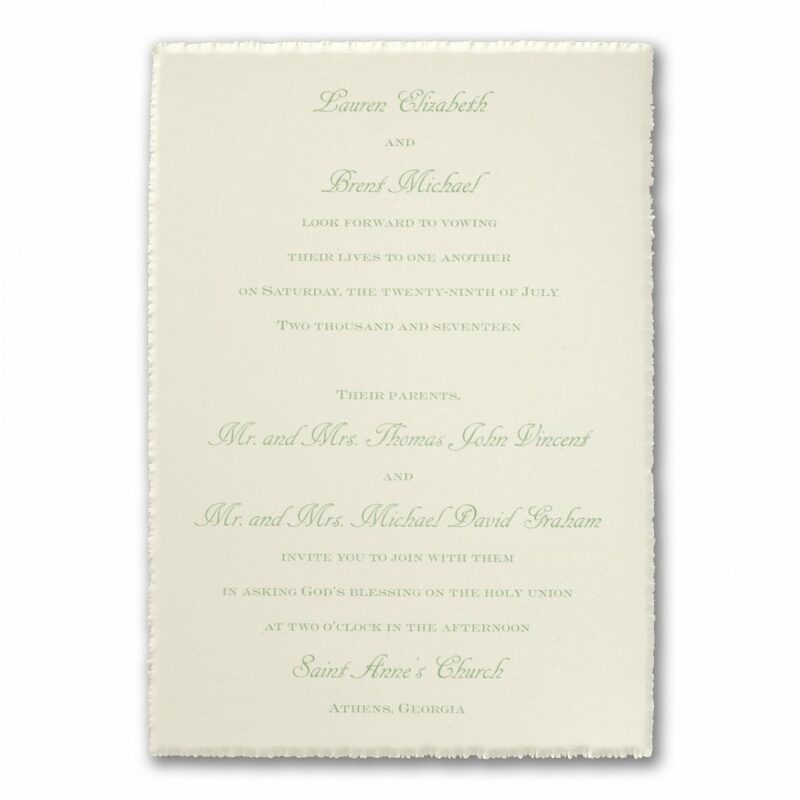 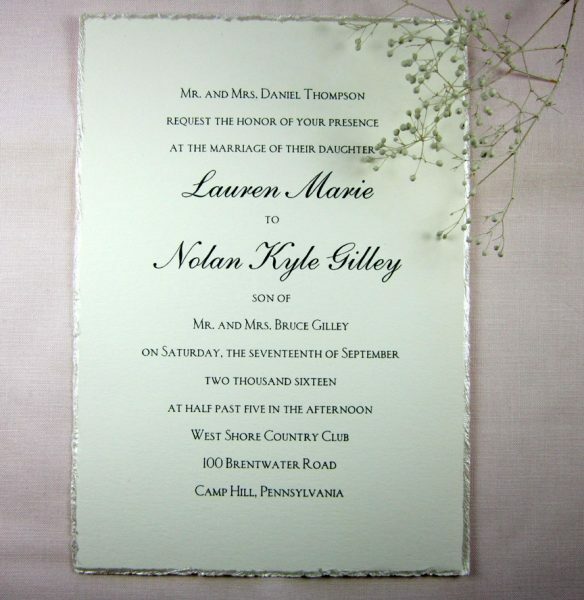 Schedule your appointment with an invitation specialist here to discuss everything you need to make this deckled edge invitation suite uniquely yours.